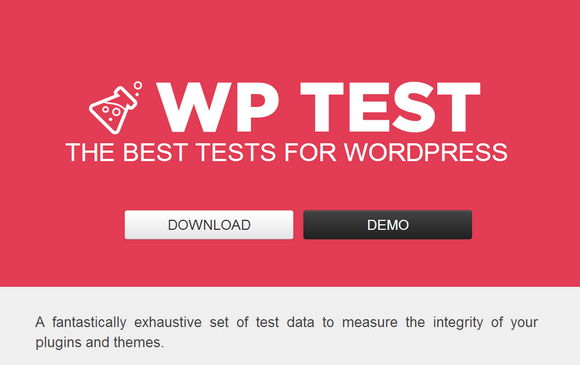 WP Test is a fantastically exhaustive set of test data to measure the integrity of your plugins and themes. The foundation of these tests are derived from WordPress’ Theme Unit Test Codex data. It’s paired with lessons learned from over three years of theme and plugin support, and baffling corner cases, to create a potent cocktail of simulated, quirky user content.